Wissy's blogspot: Polperro and Looe - Part 2. 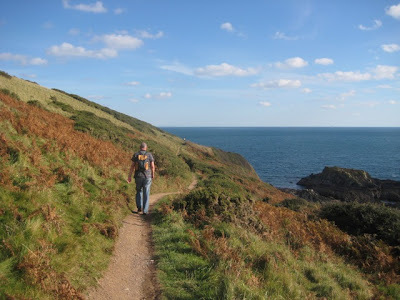 Continuing on from my previous post, we took the very steep climb out of Polperro past the brightly painted fishermen's cottages and re-joined the coastal pathway heading east towards Looe. 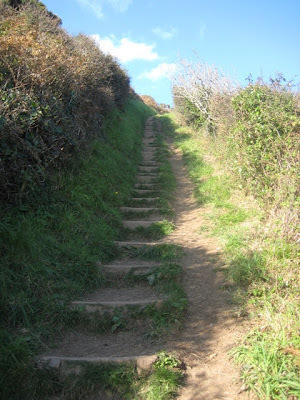 This part of the pathway heading down towards Talland Bay is beautiful with lovely views of both the sea and the sloping farmers fields. Walking towards Talland Bay - stunning views. ﻿﻿﻿﻿﻿﻿﻿ The pretty hamlet of Talland Bay has two small beaches with plenty of smuggling history. Only a couple of years ago a gang was arrested trying to land a large haul of cocaine into the bay from a boat offshore! Once past Talland Bay the coastal path gets much more ardorous and tricky with the pathway undulating up and down the cliffs. The distant views of the coast and headlands are spectacular. 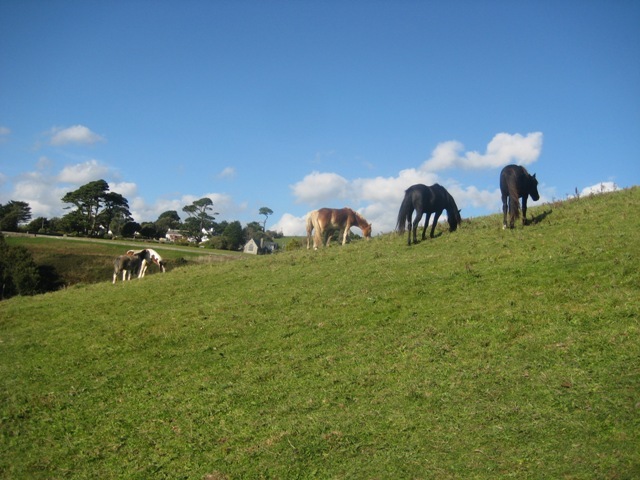 Horses grazing on the sloping fields just outside Talland Bay. .... and this section was very steep! 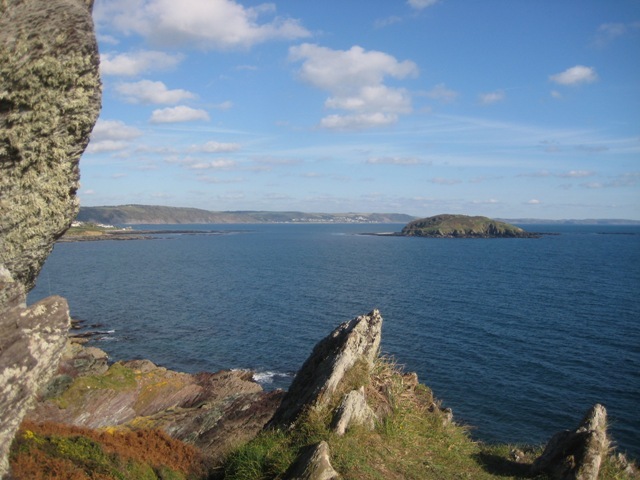 Looking east with Looe and Looe island nature reserve in the distance. 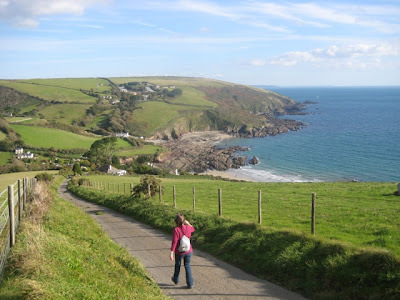 We rounded a headland and there was Looe. 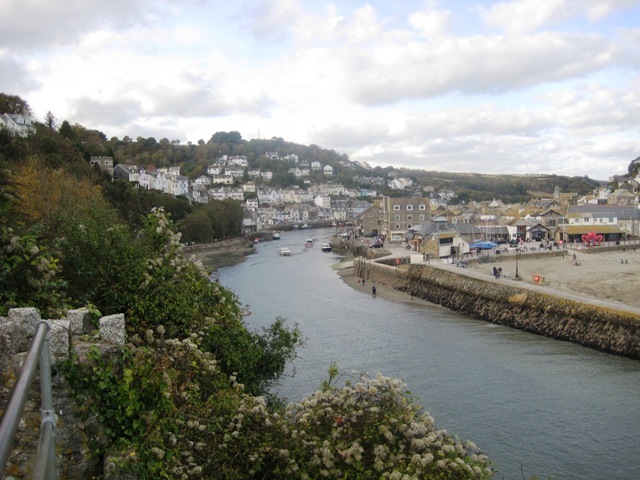 Looe is situated on both sides of the River Looe. The two towns are joined together by a bridge across the river. In medieval times East Looe and West Looe were separate towns. East Looe includes the harbour and the main shopping centre. West Looe is quieter but also has shops, restaurants and hotels. They are joined by a seven arched bridge, built in 1853. This replaced a much earlier bridge from the 15th century and there are still buildings of this period in the town. It has been a holiday resort for more than 200 years, and has relayed more heavily on the tourist industry since its pilchard canning factory closed in the sixties. 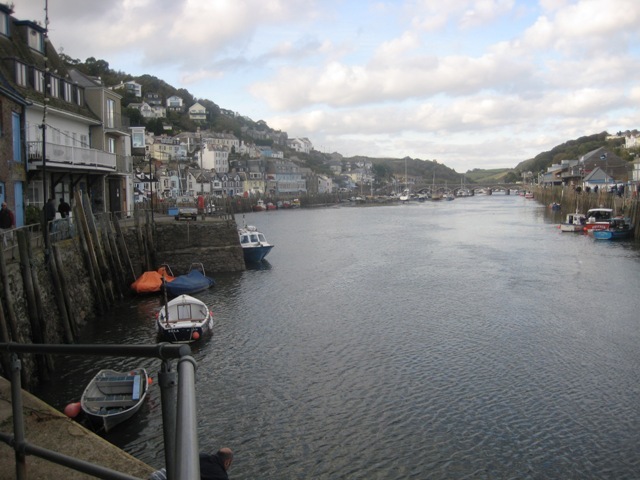 Looe is still a major Cornish fishing port and boasts England's only remaining day fishing fleet. 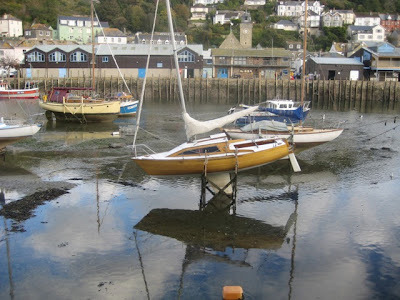 Boats at Looe left high and dry by the outward tide. 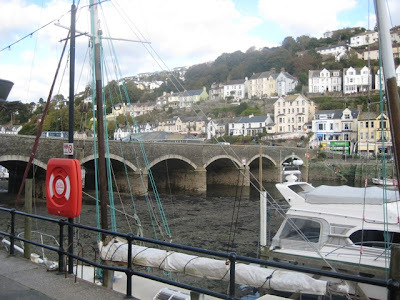 The bridge separating East Looe from West Looe. Nice pictures! You sure had a wonderful holidays. So, was those holiday cottages that you've stayed nice and comfortable? I would wanna spend a holiday there too.